Question #11: Provide your own biblical argumentation for the biblical view of creation (include some argumentation against the evolutionist perspective). Answer: My own biblical argumentation for the biblical view of creation would start from authority because it is the bottom line of any issue. I summon the highest authority there is and that is God Himself in His Word. So I claim the supernatural authority. What authority do evolutionist believe? Reasoning? Science? Logic? All of these cannot exist without the presupposition that God exists! 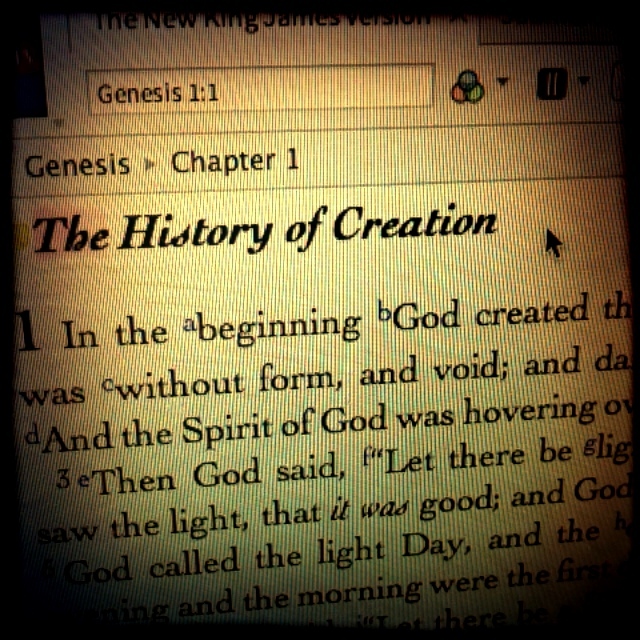 I like what one teacher said: “I believe that ‘In the beginning God…’ What evolutionist believe is ‘In the beginning dirt…’” So I think I’ll stick to what the bible says about creation and the origin of man. Another angle I could argue is that fact that none of us were there at the beginning so all we really have are witnesses or testimonies of those who were there at the beginning. My witnesses and testimonies happen to be the Triune God. God the Father created the world through the Creator-Agent, God the Son and the Holy Spirit also who hovered over all the universe was involved in the Creation beginning. What witnesses do evolutionists have? Experimentation has failed time and time again to try to recreate supposedly what had happened back then.